Abegon will design and fit your custom-built fitted or walk-in wardrobe for you. Maximise your wardrobe space by having a wall-to-wall, made to measure unit installed in your bedroom. Large range of sliding doors in different finishes Abegon only work with first class suppliers who provide good workmanship, use quality materials, offer an efficient service and provide suitable back-up after-sales service. 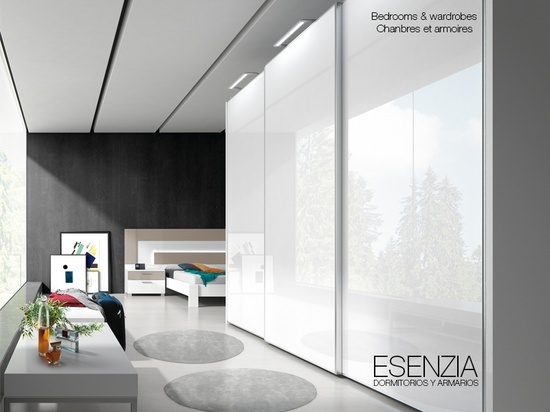 The Esenzia catalogue belongs to the same manufacturer as in our ‘Adult Bedroom’ category. If you want to combine your headboard, bedside tables etc with a custom-built fitted wardrobe, this product is for you. Come in and see us with approximate measurements and we will help you design your dream bedroom and if you like what we offer, our fitters will subsequently take accurate measurements before finalizing. Abegon – ‘delivering your vision!’available. Ask for a free, no obligation quotation.